This site is "In Progress". It doesn't look so cute yet, but ALL INVENTORY is current. I have delivery locations at least once per month in SW Portland, SE Portland, and Beaverton, OR -- and more frequently in Tigard and Hillsboro, OR. For other delivery options, please email me. Thank you and have a scentsational Christmas! 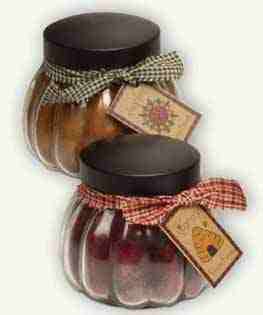 Please see links at right to view candle selection. 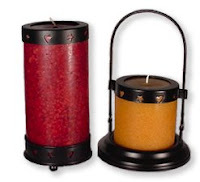 This accessory (item pictured on reddish candle) is for the 3.5 inch wide pillars. Each set is two pieces, one for the top and one for the bottom of your pillar. I have limited colors available on my computer font, but have typed each in the color closest to the color of that scent as possible.First come, first served. Scent availability subject to change without notice so email to confirm before you count on a specific one.